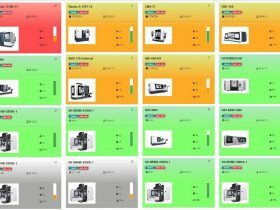 An MRM is software for the self-monitoring and reporting of the various types of working CNC machines in small, medium, and large production plants. 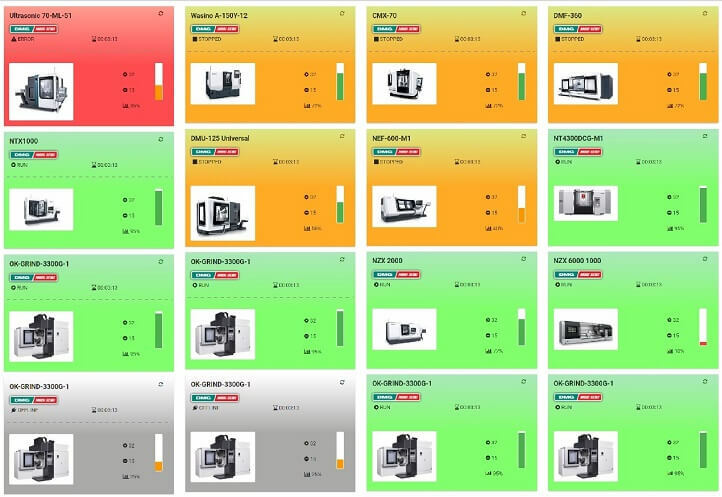 Our many years of experience allows us to create an unmatched IT system that quickly and easily checks and visualizes the working status of individual CNC machines. These details include monitoring: work hours, downtime, and even service hours! Everything is done by the IT network without the need for continuous supervision from the operator. Our software enables the supervision of many CNC systems, including: Sinumerik, Okuma, Fanuc, Hass, and many others. Also, at your request, we can customize it. 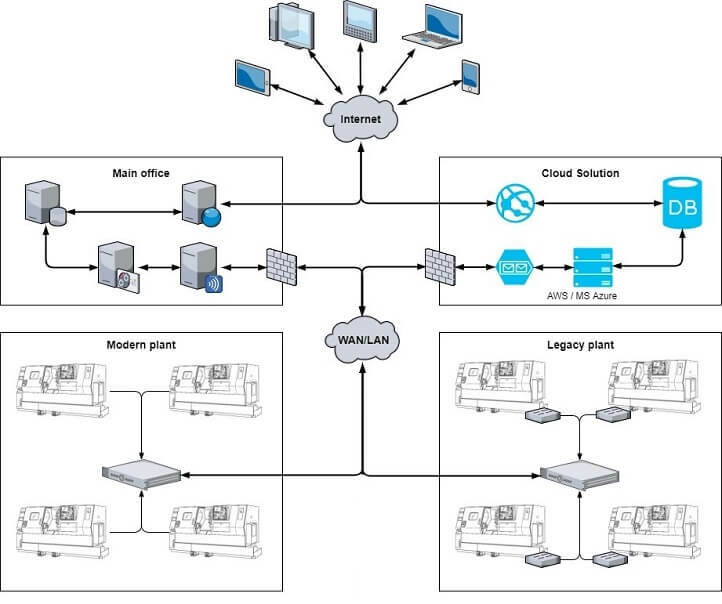 What’s most important is an MRM does not require any additional software to be installed on the machine tool, as we use standard protocols and network communication ports. Another advantage of an MRM is it allows for remote access via a web browser on any device (PC, MAC, tablet, smartphone). You can obtain detailed information as well as aggregate reports. The high frequency of communication between the machine and an MRM allows it to receive the current status of the machine’s operation as well as activity alerts displayed on a computer screen and access to reports from the CNC machine park. CNC machine monitoring with our software is designed to maximize your productivity. All measurements of working time, stoppages (also microposts), and efficiency are recorded and reported on a regular basis, giving you the opportunity to analyze, draw conclusions, and make appropriate changes. The system works very discreetly, providing complete information on how the machine works. It is also possible to install a screen (for example, a large screen diagonal TV) in an office or factory that will show the status of all the machines in the production park on the screen. 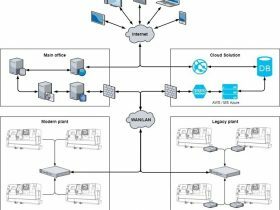 The practice of implementing MRMs in many manufacturing facilities shows that machine availability is a major contributor to the OEE final value – a percentage calculated by multiplying the three components of availability, quality, and performance. Properly calculated availability is largely the result of well-timed and classified downtime of machines or lines. Our observations, however, show that the vast majority of OEE monitoring companies largely rely on manually entered data to determine downtime. Can such data really be trusted when designing OEE? Did they correctly record the downtime? Does the registrar record it as things arrive, or do they do it at the end of the change – completing the data from memory? Can we classify and record the causes of downtime and can we do it in real time or is it “wholesale” (at the end of change, deriving data from the ephemeral human memory)? And these are just a few of the questions and potential doubts that may develop. So if you want to reliably and accurately determine the availability of machines, there is only one answer: we need to collect data digitally. Only then will we get a precise and reliable insight into the situation on our production line. Since full automation of data collection is not always one hundred percent possible, it is vitally important to minimize the amount of data collected manually and automate as much as is possible. Integrate with other IT systems – exchange data with class systems, ERP, MRP, MES, etc.